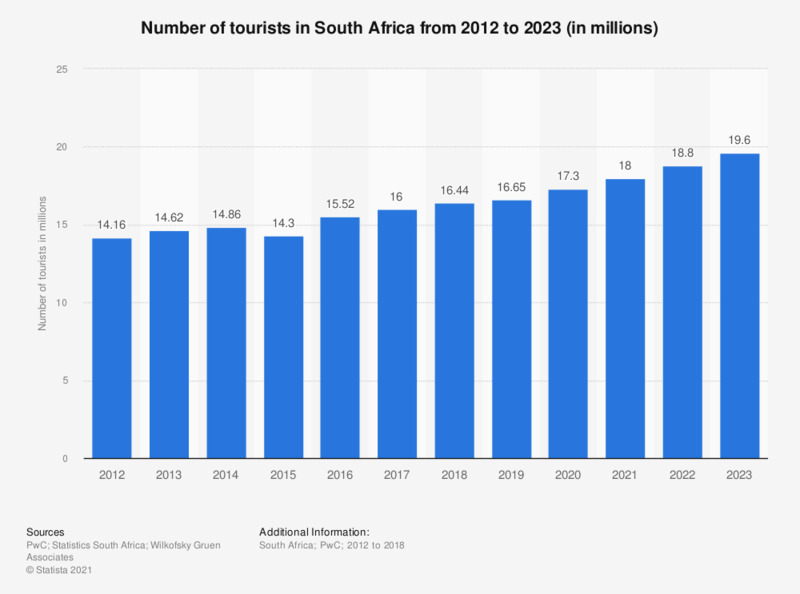 This statistic shows the number of tourists in South Africa from 2006 to 2022. In 2017, the number of tourists in South Africa was 16 million. This figure was forecasted to reach 19.5 million by 2022. Figures include both domestic travelers and foreign visitors.